Here’s a look at what’s coming out from Marvel in January 2016. A full list of solicitations is available here. There’s some Captain America material, as an early lead-in to next May’s “Captain America: Civil War” movie. Still, no sign of Miles Morales‘ own solo book? “Captain America: Sam Wilson” only promises the release of an all-new Falcon. Recently, the book’s gotten into the news for raising backlash from Fox News and other conservatives, via a storyline where Sam fights a longtime set of villains who were engaged in racist, anti-immigrant antics along the US-Mexico border. One guess why the AM talk radio set’s livid. 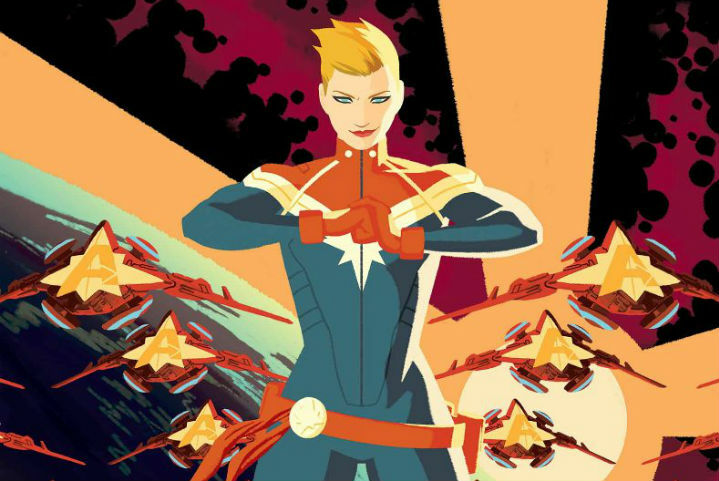 In the new #1 category this month: Captain Marvel and a new Rocket Raccoon/Groot starring comic. Previous Post:“The Force Awakens” versus…the Chipmunks?